Full-grain oiled leather upper with vintage finish. Adventure dual-density anti-slip lightweight rubber sole. 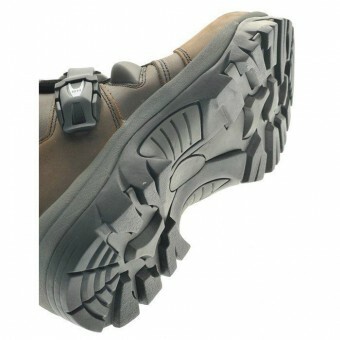 Special rigid nylon midsole with stainless steel shank. 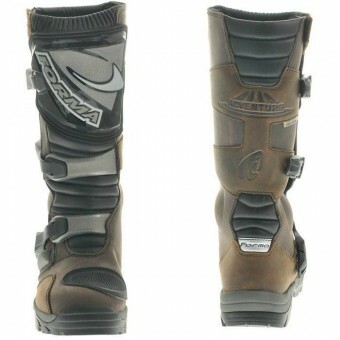 Reinforced ankle area with TPU protection. 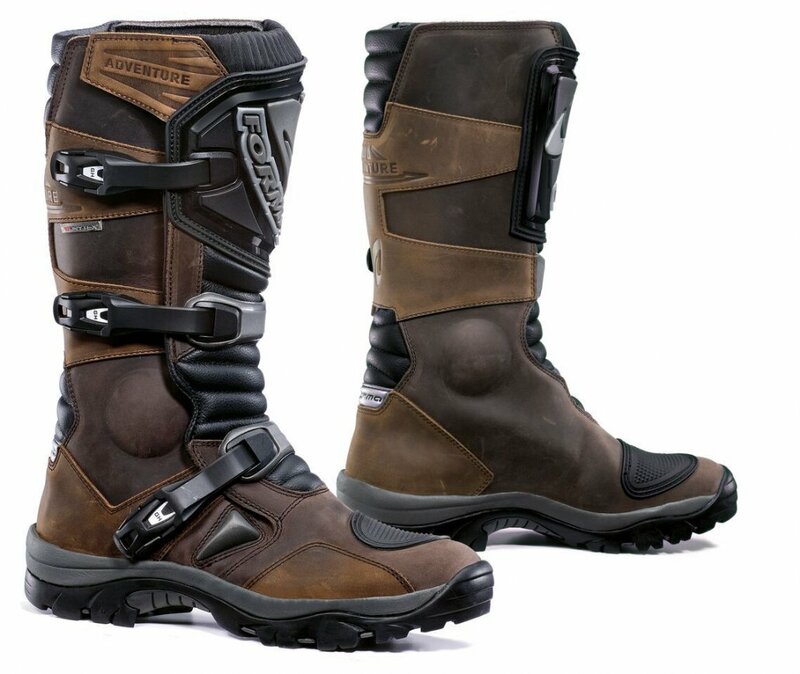 * Due to the special lightweight sole design, these boots are not recommended for use with kick-start bikes or bikes with motocross style footpegs.